When you run a multi-author blog, communication among team members become very important. There are several WordPress plugins that allow site-admins and authors to exchange notes and feedback within the WordPress admin area. However these notes and feedback may go unnoticed. 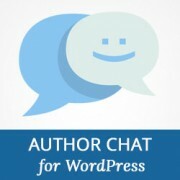 In this article, we will show you how to allow authors to chat in WordPress. Before getting started, please note that this is a live chat for authors on your site. Only users with access to the admin area can use the chat feature. If you want to add a live chat feature to the front-end of your WordPress site, then please take a look at our article on how to add free live chat in WordPress. 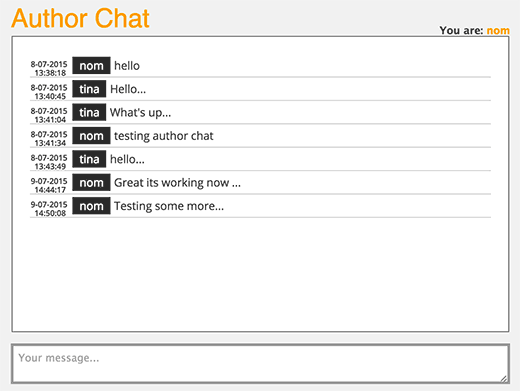 First thing you need to do is install and activate the Author Chat plugin. The plugin works out of the box. You can simply go to Dashboard or Dashboard » Author Chat screen to see it action. This lite-weight chat system stores all chat messages in a separate table on your WordPress database. 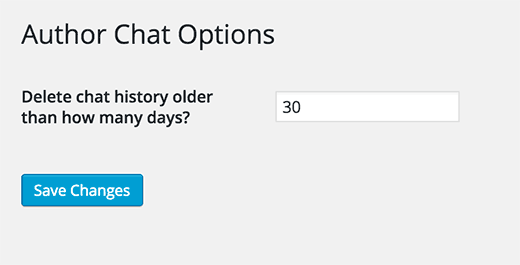 Make sure you visit the plugin’s settings page ‘Author Chat Options’ to set up an expiration period for chat logs. The default expiration period is 30 days. If you are worried about the chat logs increasing your WordPress backup size, then you can remove the author chat table from your backups altogether. Instead of using a live chat within WordPress, we use Slack for our team members. It’s far more efficient, and we highly recommend that you give it a try. 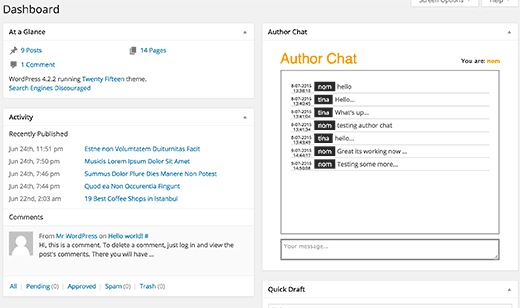 We hope this article helped you add the author chat feature to your WordPress site. You may also want to see our list of 7 best live chat support software for WordPress. Another resource that you would find useful is our list of 21 great plugins to efficiently manage multi-author WordPress blogs. Nice plugin but bot really a chat tool in the sense of a realtime chat client like Jabber oder Miranda. Calling it adminpanel micro blog would fit it better. You can not create chat rooms, you can not start a conversation with one or more specific users, you do not get notified about new chat entries. No one working in WP will switch to this window contantly to check if someone has posted something new for him or not. I am still looking for an adminpanel chat integration plugin. There are many chat plugins made for communicating with site visitors (not what I want), the rest must be placed as a widget into your output page sidebar (not what I want). If you have a team of admins working on a site you want them to be able to start at least one chat window that makes itself heard of (sound or some blinking icon). So far I couldn’t find such a tool. The lastest update of wordpress breaks this plugin. What are some of the other plugins you mentioned that can allow me to leave notes or messages on the dashboard for other admins and authors? See our guide on using WP Dashboard Notes. This is great. Running a multi-author site is like herding cats. In a catnip factory. Real-time communication inside the WP environment is gold, and anything that makes it easier is good stuff. This is exactly what I’m looking for, thank you! So small but so helpful plugin!